There can be special occasions when we all want to dress up a little more elegantly. This clothing can be expensive to buy, however there are ways to reduce these costs. Here are a few ways to afford luxury clothing. Second-hand clothing is always much cheaper than brand new clothing. It’s unlikely you’ll find luxury dresses shopping at a thrift store or a charity shop, although you may get lucky. 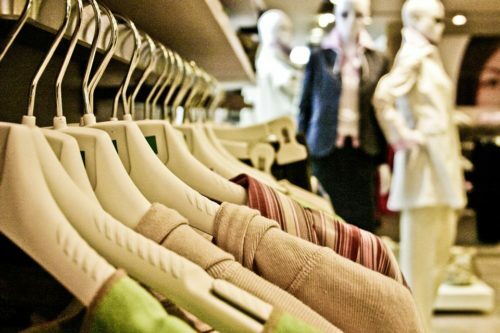 Consignment stores are often a better choice as they specialise in high end second hand clothing. On top of physical stores, you can use online second hand sites such as Preloved to find clothing – just make sure that pictures are included so that you have a good idea of the condition. There are many online stores such as Fresh Soul Clothing that specialise in affordable clothing with a luxury touch. These sites can sometimes sell cheaper than physical stores due to not having as many overheads. Just make sure to factor in the delivery cost when buying online. Most online stores now allow returns if an item of clothing isn’t the right fit, so don’t fret about the fact that you can’t try on these clothes first. Buying isn’t the only option when it come to luxury clothing – hiring it from a company like Rent the Runway could allow you to get a luxury dress for a tenth of the price of buying it. Such companies dry clean and iron each dress so that it feels brand new when putting it on. Just make sure that you return the dress on time, as there could be a late return fee. It is possible to buy clothing from some of these companies if you’ve hired and don’t want to part with it, however you’ll be paying a premium to own it – more than were you to buy the dress from another retailer. If you know a friend or family member that’s the same size as you, it’s possible they may have an item of clothing that you could borrow when it comes to a one-off special event. This is ideal for most people – the idea that someone they know has worn it can turn a lot of people off – but if you’re skint and need an outfit, it could be a solution worth considering. Got a luxury dress that you’d be willing to swap with somebody? Sites like Swishing have become popular for clothes swapping and now have sections for boutique clothing. This could be a cheap way of getting a new luxury dress, whilst getting rid of an item in your wardrobe in the process. There may also be a clothes swap event near to you, however these events may not always have luxury clothing to choose from.